Previously, I had already posted a post about Premium Moist Lip Balm from Mentholatum. This time around I will be sharing another type of lip balm and especially good for those who suffer pale lip color or even uneven tone lip color! Who wouldn't like if 1 lip balm can achieve color enhance and moisturizing lips in the same time? I am happy to try out this lip balm. 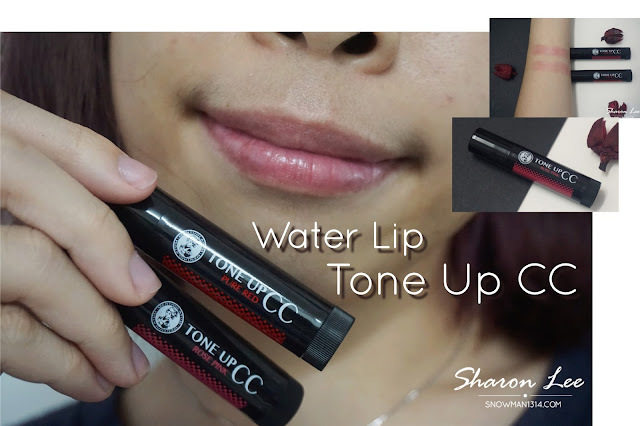 Although I do not suffer any pale lips or uneven lip color, the moisturizing texture when I apply this Water Lip Tone up CC Lip Balm on my lips. 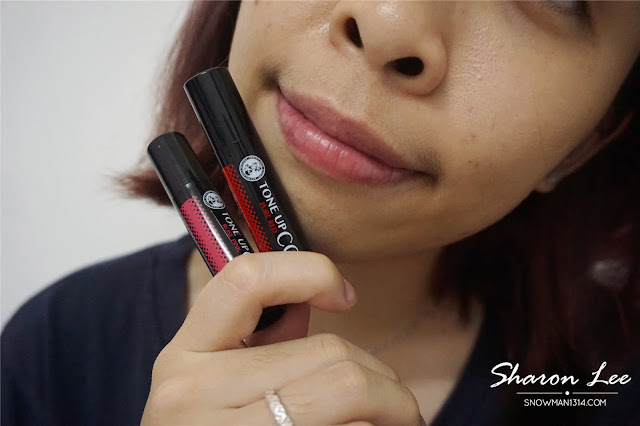 I can feel my lips are really so moisturized and able to give you the chok chok lips after apply too! There are 2 variants of color in this series, that is in Pure Red and another one is Rose Pink. What is CC stands for? CC or color correcting concept are multi-purpose products that correct color using light-diffusing particles to give the skin a healthy look. 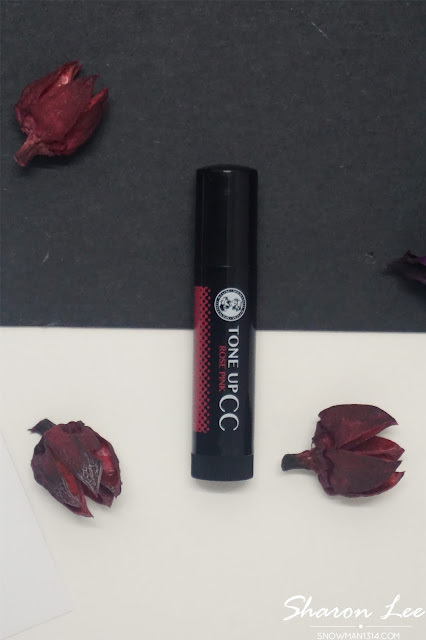 It was a really nice invention of a lip balm, that it was not only can enjoy the benefits of the color correct on our lips. It also helps revives dull lips, enhances and restore your lip colors too! The Vivid Color Pure Red on my lips. 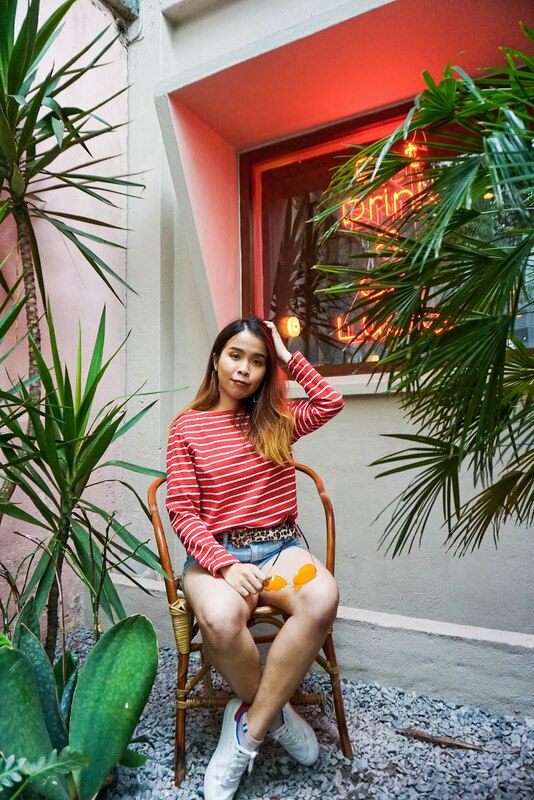 Since originally my lips are in naturally pinkish color, the color of the lip balm is not too visible thereby it just only enhances my lips color too. Not only it moisturizes the lips, it is fragrance-free and contains SPF 20 PA++ to protect lips against UVA and UVB rays. 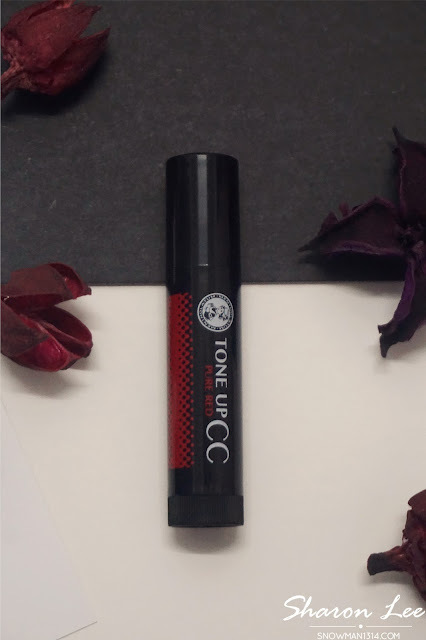 The Water Lip Tone Up CC Lip Balm contains powerful nourishing ingredients such as Vitamin C derivative, Vitamin E and Vitamin E derivative to keep lips feeling soft and hydrated. It also contains Olive Oil and Jojoba Oil that nourish the lips. If you notice there are some blink blink and chok chok texture on my lips. It was because this lip balm is also further enhanced with 3D PEARL to vividly enhance your natural lip color, thereby improving one’s overall appearance. Color Swatches on my hand. I love that the lip balm gives long lasting moisture all day long and also able to enhance and correct our lips color too.When you apply it on your lips, you will able to see there's the shiny and moisture texture on your lips. By Far, you will see your lips are glossy and moisture at the same time. The Water Lip Tone Up CC is priced at RM16.90 and will be available at all leading pharmacies and major supermarket outlets. will try it. i always have chapped lips and uneven colour. Great review. 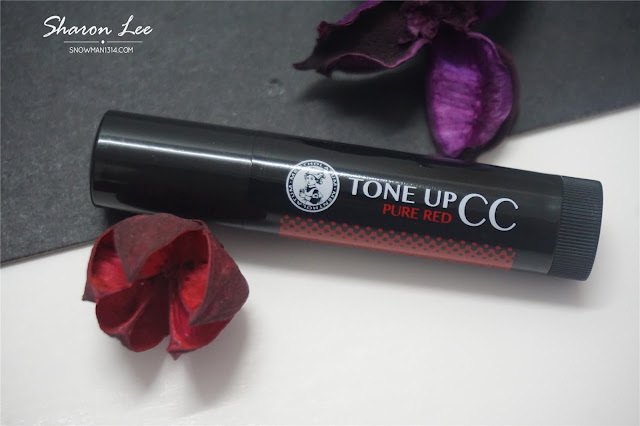 I am a more bold color girl myself, so I don't think I will be trying this but a very detailed review on this product! Thank you for sharing. If I hadn't bought a new lip balm, I would jump on this. Will have to wait till my current one's almost finished before I buy this. I don't like to waste. First time hearing about CC lip balm! Although it seems more like a tinted lip balm to me. Probably have to test it our for a long time for the CC effect to kick in. Does the colour last all day? The rose pink is nice and i love the shade. Can purchase one and bring with me whenever i go. Dear you should try it! 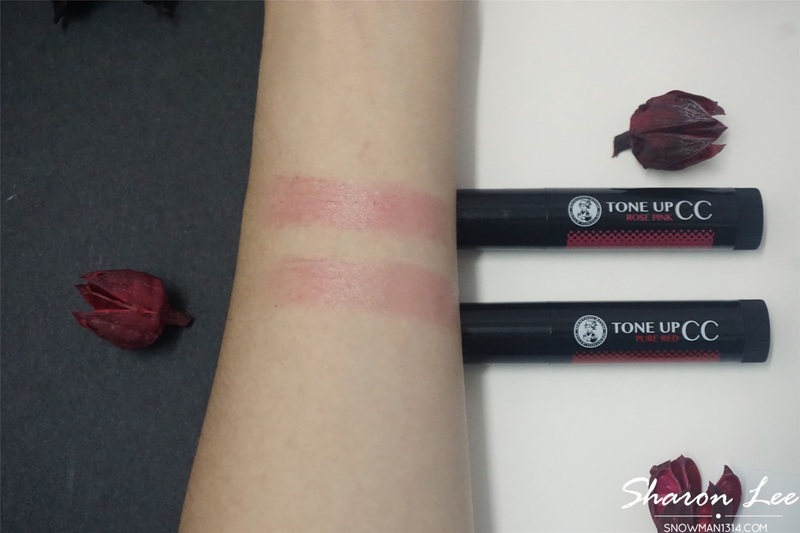 The colour seem not too obvious and it's great as I don't like lip balm with vivid colour. I love how well the created the product. Its suitable for all range of age and the price even a school girls can afford it.